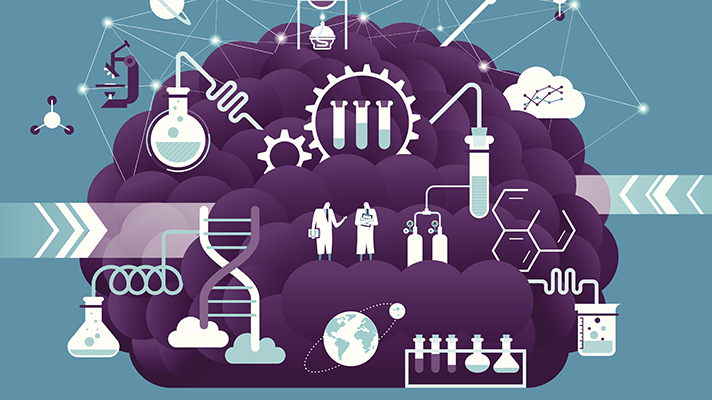 Cloud technology can also be the ideal solution for research and development (R&D), helping pharmaceutical companies process the huge amounts of data they deal with as a part of R&D, and replacing the information silos that have been formed as a result of legacy infrastructure. While it’s still early, the advantages are becoming clear and a number of promising use cases are emerging. “The cloud has the changed the universe, because it provides organizations a lot of flexibility with how they control, store and secure confidential information like what you’d see in the pharmaceutical industry,” said Larry Ponemon, chairman and founder of the Ponemon Institute. Ponemon explained that for many organizations, having access to platform as a service (PAAS) and infrastructure as a service (IAAS) gives them a lot of flexibility in how they can manage information as well. The data must be wrangled and managed, Ponemon added, and that’s an inherently complex process that requires processing and analysis conducted with a specific goal in mind. For greatest effectiveness, data must move — among patients, hospitals, electronic health records, clinics, devices, and countless other channels in the modern health care ecosystem. Mike Townsend IDC research manager for life sciences commercial strategies, explained cloud computing is almost like the infrastructure needed for true digital transformation. On the commercial area — say for sales and marketing software — pharmaceutical companies need to access customer data for healthcare providers in order to look at affiliations or prescribing history (which may be in another database). “With cloud computing you’re able to access and leverage data in the cloud, and use other cloud tools like analytics and AI to focus on what’s the next action a field sales rep should take, for example, based on the subject’s prescribing history,” Townsend said. Townsend said the beauty of cloud based system is its completely painless to scale it up when you need more data, and you can also scale it back down when you need less, when a big project is over.